Viole Emeline Booher, daughter of George W. Booher and Jessie Jane Woods, was born Sept. 19, 1929 in Taylor Co., Iowa and died Oct. 5, 1981 in Shenandoah, Page Co., Iowa. She married Ralph John Grubb, Sr. Dec. 9, 1948 in Shenandoah, Page Co., Iowa. 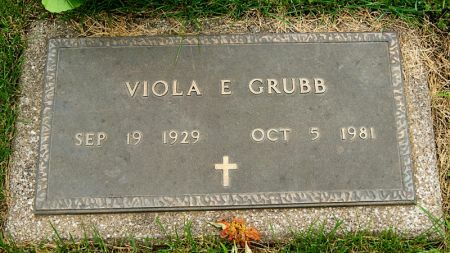 Searching for VIOLA EMELINE GRUBB in Taylor County Iowa?